ST. GEORGE — In honor of those who have donated organs and to encourage others to become organ donors, Intermountain Dixie Regional Medical Center will celebrate National Donate Life Month with a special flag raising ceremony Thursday at 11:30 a.m. 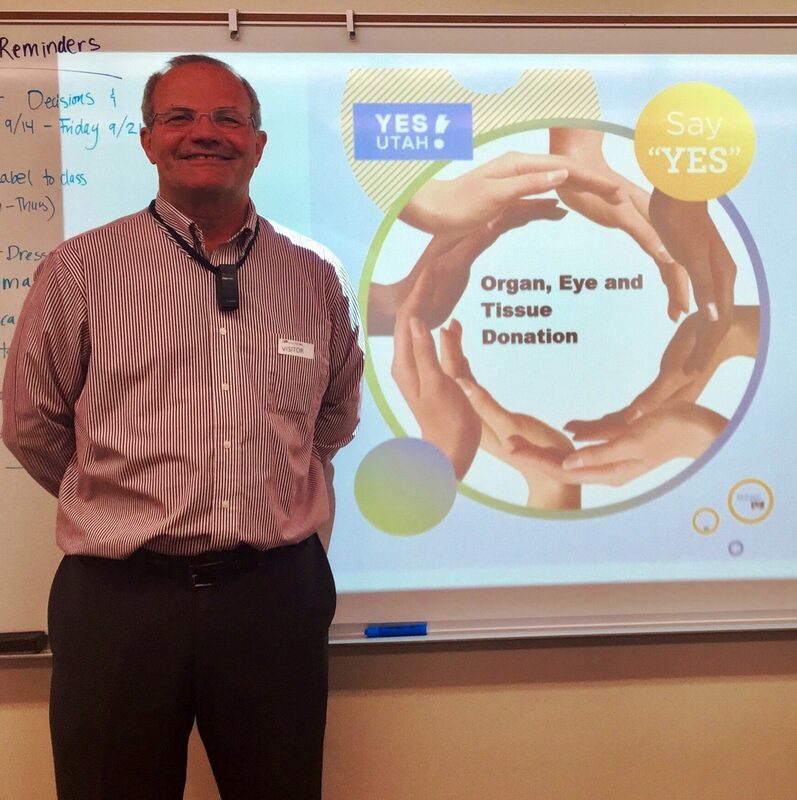 The ceremony also provides an opportunity to celebrate the lives of those that have been the recipient of organ donation, like Roger Allred, who was the recipient of a heart transplant from an anonymous donor. Allred was admitted to the hospital on April 1, 2011, and received his heart on April 18, 2011. Eight years later, Allred said he is grateful for the extension of life he has received. The ceremony will be held at Dixie Regional, on the patio near entrance 2. There will be a brief program followed by the flag raising and light refreshments. National Donate Life Month was instituted by Donate Life America. Celebrated in April each year, it features activities to help encourage Americans to register as organ, eye and tissue donors and to celebrate those who have saved lives through donation. What: Flag raising ceremony to celebrate National Donate Life Month. When: Thursday, April 11, at 11:30 a.m.
Where: Dixie Regional Medical Center on the patio near entrance 2, 1380 E. Medical Center Drive, St. George.